The point made here as well as other places in the scriptures is that if you want the Lord’s help, you need to do things His way. 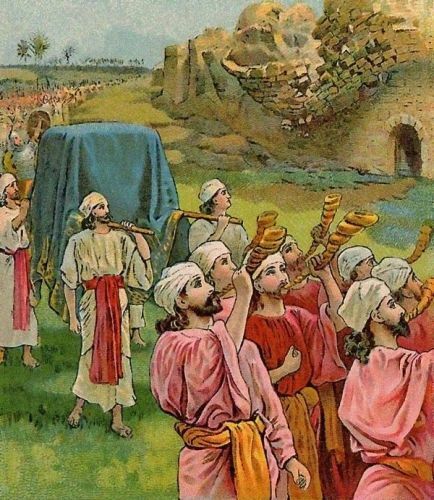 Joshua followed the instructions the Lord gave him and the children of Israel were obedient to Joshua’s instruction, and miracles followed their faithful obedience. Our students are much like the army in the book of Joshua. They face obstacles that they must overcome. I asked this question in class: how are you like the children of Israel in this story? What walls of Jericho do you face? Students had a variety of responses. I got my affairs in order and began that evening. Effective with that calling to a stake mission, I rarely ever worked after five o’clock again in the remaining course of my law practice, and still I realized greater success than I had ever realized by any measure that a young man could choose for success in his chosen profession. The Lord made it up to me in countless ways that I have no time and indeed no ability to particularize for you, but I can simply tell you that my faith was rewarded in every possible way. More important to me, as I look back, is the certainty with which I can see that this calling to a stake mission changed the direction of my life and set me on a course that brought me here in measurable, deliberate, and direct steps to stand before you today. As I began to do the work of that missionary calling, I began to reevaluate the course on which I had set myself professionally, and I began to think about whether I wanted to spend the rest of my life in that particular law practice. Six months later, when I received a renewed offer of a position in law teaching, I accepted it. I would never have accepted that position if it had not been for my calling to a stake mission. That calling also offered me an opportunity to grow in faith and devotion and loyalty to the leadership of the Church. In every way I can measure it was a turning point in my life. This entry was posted in Miracles, Old Testament. Bookmark the permalink.